With every announcement of every new AMD interface, there is undoubtedly much attention given to it. Nonetheless, our AMD users seem to always be faced with a dilemma of excitement and disappointment – many times we are so excited to receive a new product, only to find that it doesn’t meet our original expectations. What a bummer right? Well, it doesn’t need to be! This time round, we’re gonna make sure that you receive what you expected – and more! Using the leaked figures of the performance and overclocking data, we’re sure you don’t wanna miss this juicy information: the time for AMD to shine is finally here! Recently, we obtained the new AMD Ryzen CPU and performed the first overclocking (with only a fan cooler!). Curious about its performance? Read on to know more! For all you techies who are always on top of the tech news, you will know that BIOSTAR recently released wonderful news of Korean gamers having broken the 7G barrier using liquid nitrogen overclocking on the BIOSTAR RACING Z270GT6 motherboard. This certainly is a huge milestone for all you overclockers out there! The BIOSTAR RACING Z270GT6 instantly became a huge hit amongst overclockers and is now highly recommended by many veterans in the field! Hence, we decided to check out just how well the Z270GT6 runs! Does it really live up to its reputation? Or is it merely an urban legend? The older the HDD, the slower it becomes. How many of us can identify with this? The quick fix? Get an SSD! However, let’s all face it, how many of us are daunted by just the thought of having to reinstall countless software onto the new hard drive. This time, BIOSTAR Blog is back with another quick classroom session with a quick trick for us: how to migrate your system WITHOUT reinstallation. How to Install a Solid State Drive (SSD)? BIOSTAR Blog is back with a quick and simple tutorial! This time, we’re here to guide everyone through how to install your shiny new BIOSTAR G300 Series SSD! Well, what are we waiting for? Let’s get started! Continue reading How to Install a Solid State Drive (SSD)? Posted on 5 Oct 2016 25 Sep 2018 Categories ClassroomTags BIOSTAR, Classroom, G300, SSD, TutorialLeave a comment on How to Install a Solid State Drive (SSD)? BIOSTAR G300 Series SSD – YAY or NAY? 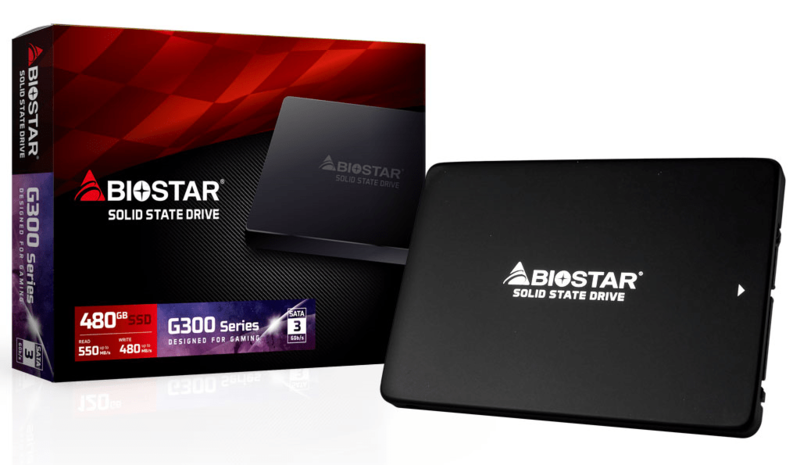 Still wondering whether the BIOSTAR G300 Series SSD is for you? Look no further – coz this blog post is gonna summarise for you 6 great reasons why you should get our latest addition to your arsenal. What’s the hype about the Solid State Drive (SSD)? If you’ve been one who’s been following us on BIOSTAR’s latest news, or been on any of our Facebook pages recently, you might have seen the release of our latest product that will soon be your indispensable gaming companion – the BIOSTAR G300 Series SSD. For those already in the know about the SSD and want to find out more about WHY you should get our G300 Series next, do feel free to scroll down starting from the section titled “The BIOSTAR G300 Series SSD”. What’s with Bitcoin and Bitcoin Mining? Can you really earn real money from it? BIOSTAR Blog is back with another classroom post to tell us more about this intriguing topic, and simplify it so anyone like you and I will be able to easily understand. According to Wikipedia, Bitcoin is a digital asset and a payment system invented by Satoshi Nakamoto, who published the invention in 2008 and released it as open-source software in 2009. The system is peer-to-peer and transactions take place between users directly, without an intermediary.